Goals have been the native language as Jermaine Beckford has made himself heard throughout the past decade, with plot twists a plenty to contend with for the Preston North End striker. Continuity is often an elusive ingredient in the modern game, although some pieces to the puzzles certainly haven’t altered for the ex-Everton and Leeds United man, including his chosen entrance track that sparked his pro years into life. Feeling the goal rush at English football’s most famous grounds, playing internationally and taking his game all the way to the Premier League were prospects that seemed distant to say the least when the one-time Chelsea youngster had to begin to prove his credentials in non-league. After much interest following his scoring achievements with Wealdstone, it was ultimately Leeds United who took him from the Isthmian League to the Championship in 2006. The West Londoner had a wait before his Elland Road career had chance to really take off, but three storming seasons in front of goal, an unforgettable FA Cup winner at Old Trafford, and a long-awaited League One promotion helped ensure his time with the club remains in the memory. Although the top flight with Everton was his next destination in summer 2010, Jermaine had been a major component in Leeds’ protracted attempt to climb back to the Championship and he had long attracted potential suitors before he eventually departed. Nevertheless, the man who struck 85 times for the club once had to introduce himself to his fellow pros, before his reputation had begun to soar, and he remembers the intro track and his performance vividly. “It went great. I can’t tell you my song, because it’s my song…it was (the) ‘Fresh Prince of Bel Air’ (theme), right from beginning to end, and I had everyone standing up. “I’m pretty good at it, it all started off from being the first song I had in my head. I was watching Fresh Prince before I went down to dinner, not realising it was my turn to sing because it was my first away trip at Leeds. With his season held back by injury on Preston’s return to the second tier last time around, Jermaine has been set on ensuring he gets to make up for lost time in 2016/17. The Lilywhites were a close contender for promotion to the Premier League in multiple seasons during the 2000s but slipped down to League One in 2011. 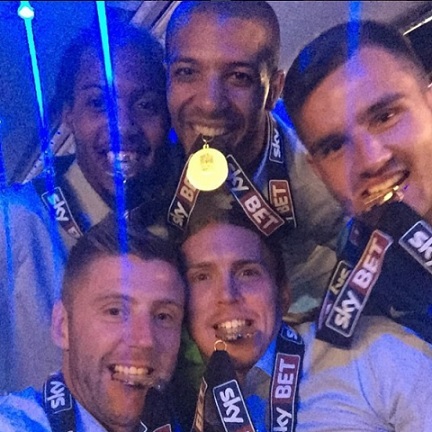 North End did get to celebrate their return to the Championship in May 2015 and they did it in what many consider to be the best way, winning the play-offs in style with a 4-0 victory over Swindon at Wembley. Jermaine put in a sublime striking display as his treble made him only the third player to ever score a hat-trick in a Wembley play-off final. The noise heard under the arch on that Sunday takes its place among the sounds that play on for Jermaine alongside his career’s picture-book moments thus far. In fact, he manages to find a song or rhythm in most areas of his life from one day to another. “I enjoy listening to a variety of different artists, the reason being I get bored listening to the same genre all the time. It’s nice when you open your horizons to the different sounds and different music, so I can’t really name one or two. For players, there are times when you can lock down into your own music when travelling, to get that added motivational rush in the gym, or on the way to the dressing room, as has become a familiar sight over the years. Naturally, it varies considerably between different teams, but there is usually a time when the whole group is on a shared wavelength with the changing-room track choices. In 2007/08 and with Leeds starting life in League One 15 points behind the other teams, Jermaine quickly showed his capabilities as one of the division’s most clinical finishers, hitting 20 as he won the League One Player of the Year award. The campaign saw the West Yorkshire club playing under Dennis Wise and latterly Gary McAllister, making the play-offs with a record that would have seen them comfortably win automatic promotion if it hadn’t been for their deduction. Midfielders David Prutton and Jonathan Douglas were two of the regular performers in that Leeds team as they went all the way to the play-off final, losing to Doncaster Rovers 1-0. The pair have also been known in their respective careers for favouring the slightly more alternative and heavier sounds than the widely-favoured pre-game genres like r&b and house, but Jermaine welcomed the change of pace. “The music I have been exposed to at every club I’ve been at has been really varied, so it’s been good. Some days you’ll get the hip-hop stuff then other days it’s more pop stuff. “When I was at Leeds for a bit we had a couple of guys who were into rock and that sort of stuff and that wasn’t bad either. I enjoy all kinds of music so I wasn’t really offended by anything. 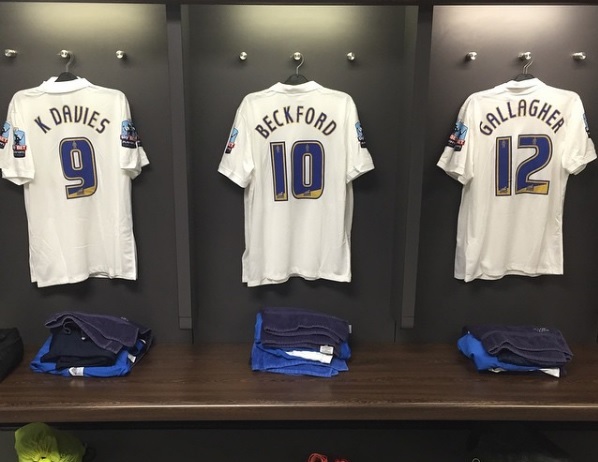 The Preston dressing room at Wembley before their League One play-off final win over Swindon last year. In his second full season in the Leeds side, Jermaine went on to reach even greater levels, scoring 33 times in a year that again took them to the play-offs, although they would be beaten in the semi-final by Millwall. That was the first year in which he linked up with Argentinian striking partner Luciano Becchio, and in two seasons together, they struck a century of goals. Jermaine had been the subject of admiring glances from higher-division clubs for some time as his stock continued to rise the more he found the target. As it turned out, he remained with Leeds until the expiry of his contract at the end of the 2009/10 season, in which he scored 31 times in all. He came up with 25 goals in the league that year and it was David Moyes at Everton who successfully acquired his services in the summer. Part of a front line including Louis Saha and Victor Anichebe, and with Tim Cahill providing goals from his deeper attacking position, Jermaine finished joint-leading scorer with Saha on ten. A significant amount of his appearances had come from the bench but he still managed to deliver some memorable goals during his year with the Toffees. One of those came in a Merseyside derby at Anfield in January 2011, with Jermaine finishing past Pepe Reina to give Everton a 2-1 lead over a Liverpool side buoyed by the recent return of manager Kenny Dalglish. Dirk Kuyt levelled for the Reds in that game but Jermaine grabbed a match-winning double at home to Sunderland the following month. Earlier in the season he had scored at Stamford Bridge in a draw with champions Chelsea and on the final day of the campaign he struck again against the club where he was once a youth player. His solo attempt at Goodison Park to close out the season saw him run from his own half, evading a number of challenges before lifting a deft finish over the advancing Petr Cech at the Gwladys Street End. It had been a long road to playing at that level for Jermaine, who had former West Ham United striker and fellow Chelsea youngster Carlton Cole as one of his teammates growing up. Coming from Ealing, he showed his vast potential for Middlesex Under-18s and gave Wealdstone boss Gordon Bartlett a first-hand look at his striking instinct. Bartlett would sign him, and although he had a much more raw talent on his hands in those days, he noticed a marked maturity about Jermaine after he returned from a second loan at Uxbridge, also having become a father. Through the benefit of specific experiences, our perspective tends to become more considered over time as we are able to see things in such a way that just wasn’t possible at a younger age. While Jermaine has refined his approach and outlook through the years, some aspects haven’t changed all that much, including his liking for a smooth r&b vocal and melody. The first single into his own collection was definitely one to fit that description and it was a number one in the UK in January 1998. By the time that Wealdstone had accepted Leeds’ £70,000 bid for Jermaine, the calls about his availability had been stacking up that month. Gordon Bartlett, who remains in charge at the National League South side, remembers how Jermaine once infuriated him by applauding the Staines goalkeeper for saving his penalty, though he did go on to score twice in a victory for the Stones that day! Bartlett credits him as the most natural finisher he has seen and many a coach has been similarly taken by what he offers. In the summer of 2011, Jermaine became former England manager Sven-Göran Eriksson’s 12th signing of that transfer window, as he brought him to Leicester City from Everton. He scored 15 goals in his debut season with the Foxes, with nine coming in the Championship, but in September 2012 he would be returning to West Yorkshire to link up once again with his former Leeds boss Simon Grayson at Huddersfield Town. Spending the rest of the season with the Terriers, his nine goals in 22 games helped keep the team up in their first season back in the Championship after promotion. 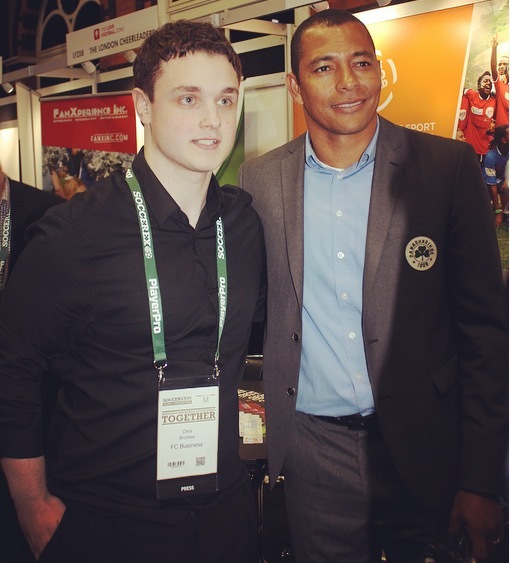 During that campaign, Jermaine notched a number of decisive goals and also took his bow in international football. Talk had surrounded the possibility of him turning out for Grenada but it was Jamaica that he opted to represent, making his debut for the Reggae Boyz in March 2013 against Panama at Kingston’s Independence Park. Three months later, he scored his first international goal at the same venue, with an 89th-minute equaliser against the United States in a World Cup qualifier, though Brad Evans would win it in injury time for the visitors. Around the time of Jamaica’s historic World Cup qualification (and their only one to date) for France ’98, the squad famously had a blend of players born and raised on the Caribbean island and others who came from England, but with a Jamaican heritage. British-born players like Robbie Earle, Marcus Gayle and Deon Burton became well-known figures in an iconic time for Jamaican football and that mix has been maintained through the years. Included in some of the squads with Jermaine have been players from the UK such as Leicester captain Wes Morgan, Reading winger Garath McCleary and Preston teammate Chris Humphrey, to name just three. A number of Reggae Boyz past and present have featured on here previously and each have given their own take on music’s eternal bond with the country that lights the atmospheric fuse whenever the national team are together. Rhythm has long been locked into so many elements that surround the team and the vibe has been as buoyant as ever when Jermaine has been around to wear the green and gold. “Music is non-stop; bashment is a Jamaican genre of music and it’s everywhere you go. It’s on the buses, the hotels, walking down the streets, the cars driving past. While it admittedly can feel like a carnival when teams like Jamaica enter the conversation, being called to play internationally doesn’t mean a time to unwind. For most players today, the work and focus has been applied even before the first day of pre-season, with significant sacrifices par for the course throughout the year, meaning that the chance to unwind at the end of a campaign is not just welcome, but needed. Certain holiday destinations are particularly popular, from Ibiza, to Miami and Las Vegas, but of course everyone has their own preferences. As he started to think back over some of his favourite breaks that have been brightened further by music in some way through the years, Jermaine struggled to narrow it down. With the subject also surrounding who’d be the main attraction at his dream live gig, it was much less difficult to pinpoint a headliner. “That is such a difficult question, I genuinely can’t answer because there are way too many. Pretty much every holiday I’ve been on has involved music of some genre, of some sort, and that’s the lasting memory with me, so it’s impossible to choose just one or two. Although he signed in March 2006, Leeds fans first got a viewing of what Jermaine was capable of while he was benefitting another team. After a loan at Carlisle United early on in the 2006/07 season, he stood out during his temporary stay for the second half of that campaign at Scunthorpe United, who were on their way up to sealing promotion to the Championship at the time. His goal to beat Rotherham United at Glanford Park in February 2007 brought him to attention as he faced up against two defenders, producing superb skill to work himself into space on the edge of the box before whipping an unstoppable left-footed strike in off the far post from the angle. That piece of ruthless showmanship earned him the Football League Goal of the Year and was one of eight he scored for the Iron before he returned to stake his claim back at Leeds. Despite his consistent goal touch for the team in their clamber back to the Championship, it hadn’t been constant smooth sailing and Jermaine had actually found himself briefly out of the side in the later stages of the 2009/10 promotion season. He would, however, hit four goals in the last four games to see out his time with the club, culminating in captaining the side to a decisive last-day win over Bristol Rovers with 38,234 at an expectant Elland Road. With skipper Richard Naylor out, he was given the armband by Simon Grayson and his parting gift was the winner after Jonny Howson had levelled for Leeds 14 minutes into the second half. Although one of Jermaine’s teammates at that time was sent off early on in that particular game, he made a big impression during his spell at the club, scoring 18 in the Championship the following season before leaving for Saint-Étienne in 2011. The lively and talented attacker in question returned to England last summer and Jermaine picks him as the standout when thinking back over player initiations in his career so far. “I would probably say Max Gradel, he’s at Bournemouth now. He did a song from the Ivory Coast that nobody else understood, but he was just really getting into it as if he had headphones on, so probably him. Players typically get the benefit of working with a wide selection of teammates during their career and it is human nature that they will strike up a truer connection with some than others. Jermaine played for current Preston boss Simon Grayson at Leeds and Huddersfield before they were reunited at Deepdale and he has been with certain teammates at multiple clubs also. One of those is the North End number 12 who was with him at Leicester, and when Jermaine was asked which players he’d choose if he ever recorded a song cover, he selected him alongside a midfielder who was another teammate at the Foxes, before both Huddersfield and Bolton. “I would choose Paul Gallagher on the guitar and Neil Danns as a backing singer for me. Gally is pretty good on the guitar and Neil Danns is a very good singer. Wherever Jermaine has been, the goals have traditionally followed, and after he scored nine for Bolton in their 2013/14 campaign he joined Preston on an initial loan in November 2014. His fantastic form for the Lilywhites had him feeling fully reinvigorated and he took it up a notch in the playoffs, scoring six in the three games to take him to 18 for the club. Having got the winner in the first leg of the semi-final at Chesterfield, he scored a double in the 3-0 return victory at Deepdale, with one coming from almost the half-way line as it dipped in spectacularly. That of course led to Wembley and that virtuoso performance to help sink Swindon 4-0, but after all that euphoria in such a prestigious setting he was encountered with immense frustration on North End’s Championship return. An ear infection the season before had left him spending weeks in bed, unable to sit up and wondering if he would have to stop playing, and he was out of action from last August to March this year with damage to his knee cartilage which ultimately resulted in surgery. With the aforementioned right-sider Chris Humphrey one of those alongside him during those weeks and months in the gym and physio room, Jermaine had teammates and staff to support him, and he offered the same in return to those going through their own setbacks. As someone who has had relatively good fortune in steering clear of serious injuries in his career, Jermaine was dealing with the most significant spell out of action he has faced. He did return, however, scoring against MK Dons and Reading in the closing weeks of the season with Preston well clear of any relegation prospects, albeit out of the running for another go at the play-offs. He has the mementos of his and the club’s 2015 Wembley special, like the winner’s medal, the DVD, and of course, the match ball. Learning to savour the moments as the seasons have gone by, he speaks with a fresh hunger and determination for the game now. With a young family to occupy his thoughts, Jermaine has learned to filter out the unnecessary concerns that can cloud the focus of a player, and he credits that as perhaps his greatest lesson from football. Off the back of an 11th-place finish on their Championship return, Preston are aiming to break further into the division’s higher reaches in a 2016/17 season that sees the league looking arguably more competitive than ever. Newcastle United and Aston Villa, and now Norwich City also, have spent significantly as they try to make immediate returns to the Premier League, but the unpredictability of the league is its charm. As part of their pre-season, Preston have been to Fota Island in Cork Harbour, and part of Jermaine’s work over the summer focused upon building the strength further in his legs as part of his continued comeback from his knee injury. He will be one of the attacking options alongside Joe Garner, Eoin Doyle, Jordan Hugill, Callum Robinson and Palermo loanee Simon Makienok, while Stevie May is still to return. The Lilywhites’ campaign begins on Saturday (August 6th) at Reading and it is the eleventh time Jermaine has embarked upon a new season at professional level. In a career that has seen him taste the promotion euphoria more than once, as well as scoring at Old Trafford, Stamford Bridge, Anfield and Wembley along the way, there is room yet for much more to add. In the motion picture of his path to date, so many differing characters have played a part, bringing it to life in their own way. The question that has closed out these interviews on here in the last few years celebrates that, with the player asked to picture the 5-a-side scene with four of their teammates from any time in their career to join them. For this fantasy setting, they can put forward names based on whatever reasons they wish, whether it’s for the impact that player had on them, purely for ability, their skill in small spaces, or otherwise. As an accomplished striker, the temptation could have been for Jermaine to overload on the attacking side of his team, but he put together one with plenty of balance. Built with a spine of international experience, he rounded off his selection by putting aside some notable attacking names to make room for a reunion with an old friend and partner in crime. “In goal, I would go for Tim Howard. He has been at the top of his game for years and years and it’s not by luck that he has managed to do that because he’s a great player and he’s a very nice guy as well. “My defender would be Phil Jagielka because of his strength, his tactical awareness, his speed and again, he’s an all-round great guy. The midfielder would be Ross Barkley – I know it seems like I’m going through the Everton team but when I was there he had just come back from his double leg break and his first training session back was as if he had never been out injured. “He was the best player on the field by a million miles, and for me, that’s why I would put him in there. The striker is very difficult because I’ve played alongside so many great players for various reasons. “I played with the likes of Louis Saha, Victor Anichebe, Yakubu at Everton, I played with Jamie Vardy at Leicester, David N’Gog at Bolton and then obviously Joe Garner here. A couple of my pals at Leeds, so there’s loads and loads of good players for different reasons, but obviously I want to be the main one!